When our weekly local newspaper arrived last week, the headline story was a “doozie”. It said “Ft. Stewart Employee Hires Hit Man to Kill Him”. The subtitle was “Felon flubs shooting …”. This headline may not get much press in a larger city, but in our little town of 3,641 residents, this was BIG news! This incident didn’t take place in our town, but happened in a neighboring town with a population of just over 1400–which makes it even more strange. Here’s a look at how this bizarre tale unfolded. The employee, whom I will refer to as “Mr. O” was in the middle of a divorce from his wife, and was apparently depressed. He wanted to commit suicide, but wasn’t sure if his son would get all of his insurance benefits if he did. So “Mr. O” began looking for someone to kill him…enter a female acquaintance from a nearby town who “just happened to know someone who might be willing to murder him for money”. 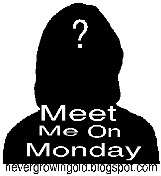 Allegedly, this female acquaintance set up a meeting between “Mr. O” and the hitman, “Mr. N”. “Mr. N” agreed to murder “Mr. O” for the mere sum of two hundred dollars! Can you believe that? In mid-August, “Mr. O” picked up his lady friend and the hitman, and the three of them drove deep into the woods…Around 9 in the evening, after allegedly receiving his mere two hundred dollars, the hitman shot “Mr. O” in the chest three times with a .25 caliber handgun! Then the lady friend and the hitman drove away in the victim’s vehicle, leaving him to die. As “Mr. O” was lying there in the woods, dying, he changed his mind, and decided he didn’t want to die anymore! He used his cell phone and dialed 911 for help. When help arrived, “Mr. O” fabricated a story about being ambushed, then shot by a black guy and a white woman. He was then transferred to a nearby trauma center for treatment. Upon further investigation, the hitman was arrested. The hitman told investigators that “Mr. O” had set up the whole incident, and he apparently mentioned the lady friend’s role in the plot. “Mr. O’s” lady friend was also questioned, and admitted to arranging the shooting. All three people have now been arrested and charged with crimes including “Criminal Conspiracy” , “Criminal Conspiracy to Commit Murder”, and “Criminal Solicitation”…”Mr. O”, is currently out on bond, while the other two are still incarcerated. Do you think there might be “something in the water” in this little town? I’m joining “Lid” for the last Random Dozen of this month. Where does the time go? If you would like to join, just click her button at the top of this post for details. 1. Do you believe, somewhere deep inside, that blondes do indeed have more fun? That they are “dumber” than brunettes or redheads? Be honest! Okay, I do think that blondes have more fun, because guys seem to prefer them–which, in turn, leads to more social life, aka “more fun.” I don’t buy into the “dumb blonde” thing, however. 2. Which animal would you most like to observe in its wild habitat? Any kind of wild cat, but preferably a tiger. They are so beautiful. 3. This week the U.N. announced that Dr. Mazlan Othman has been appointed the official “Alien Ambassador,” should any extraterrestrials contact us. Have you, or has anyone you know, ever seen a UFO? Well, no, not that I can recall! We don’t have any UFO’s in “Gooseneck”–except for a few crazy motorcyclists. 4. Name your favorite Hitchcock film. That would be Psycho. What a scary movie in its time! 5. Would you rather spend time at the library, the mall, a craft store or home? Well, home is my all-time favorite, followed closely by the mall. I love to walk the mall and just look. 6. Which Disney princess is your favorite? (Or Disney character, if you are a guy) Ariel, The Little Mermaid, because that’s my favorite Disney Princess movie. 7. What kind of art is your favorite? If you saw the walls of my home, you’d know…I like photographs of my family, but I do like Thomas Kincaid as well. 9. Where do you buy your jeans? Oh, please, I haven’t worn jeans in 30 years! Those things wear terrible. 10. Tell me about your first automobile accident. It was early one morning, it was raining, and I was on my way to pick up my mother to go take her to the hospital to see my dad before his surgery that a.m. I was only going about 35, but I hit a slick spot on the highway, and my van began to slide out of control. I slid off the edge of the road and hit a dirt embankment. I wasn’t hurt, and neither was my car, but I got hysterical because a girl had recently gotten killed in the same exact spot a few weeks earlier– on her way to work. It was the same scenario–rain, slippery road, etc., but she slid in the opposite direction and hit an oncoming car. I called my husband at work, and asked if he could please come and drive us to the hospital. He got all excited, was driving too fast for conditions on the way to pick us up, and he, too, hit a slick spot and landed in a ditch–a very deep ditch! Two wrecks within 30 minutes of each other. He then called me to come and pick him up! We left his truck in the ditch, but still managed to make it to the hospital just in time to see daddy on his way to surgery–that was close! By the way, there was $1600 hundred worth of damage to the truck–my husband was fortunate that he wasn’t seriously injured. 11. Have you ever been honest when you knew you would benefit more if you would be dishonest? Yes, I have a hard time telling a lie, so I’ve made things difficult more than a few times. I”m known in our family for my “brutal honesty”. 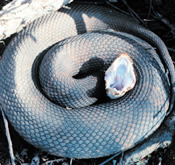 I don’t know what has been happening in your neck of the woods lately, but around here, the snakes are crawlin’! If you remember, t’s only been a few weeks since our son-in-law found a snake stretched out in the middle of his hallway. Well, last week, while Jennifer was spending time recovering at her grandparents house, one night she walked out into the hallway of their house to find a tiny snake slithering on their floor, as well! She called for her grandparents, and her grandfather quickly took care of the snake. Jenn is doing great, by the way–the path reports are all back and the doctor says she’s cancer free…Yay! She is getting out and about some now, and seems to be doing good. She has about 3 more weeks of recovery before resuming her work schedule again. Thank you for those prayers on her behalf 🙂 Now where was I? Oh, yes, talking about snakes! Finally, on Saturday evening our daughter was mowing the grass between her yard and ours. She noticed one of our many cats in the grass, and he seemed to be circling something in an effort to keep it from getting away. Upon further investigation, Brandy discovered a moccasin coiled and ready to strike! She quickly summoned her husband who happily killed the slimy intruder! That’s the first moccasin that we’ve ever seen in the yard–in 33 years of living here! Now, if it will just be 33 more years until we see the next one–that will be too soon! 1. How many TV’s do you have in your home? We currently have three televisions, but only two of them are connected to any type of programming. At one point, when our children were all at home, we had five televisions. I used to feel bad about that–until I read that Java has ten televisions in her house! 2. What is on your bedside table? A lamp, an alarm clock, a television remote, a bud vase of silk roses, and a couple of stray items. 3. How many pair of shoes do you own? I have absolutely no idea, but I’ll make an educated guess… of twenty-five pairs. About a dozen of those are Crocs of assorted colors. If you know me, you know I always wear my Crocs! I could throw out all of the shoes–except for my church shoes– because I never wear them! 5. Do you like sweet treats or salty treats? Oh, I’ve gotta’ have my sweet treats! My ideal treat is a sweet treat followed by a little salty treat–you know, like a cake square followed by a few mixed nuts! I don’t usually post on Sundays, but I’ve decided that I’d like to try something different. I have a friend who sends me the most wonderful emails sometimes. Some of them really make me laugh, while others make me stop and think. I’ve decided that I’d like to share a few of my favorite emails via this blog on Sundays. Enjoy! 1) I’ve learned that I like my teacher because she cries when we sing Silent Night. 2) I’ve learned that our dog doesn’t want to eat my broccoli either. 3) I’ve learned that when I wave to people in the country, they stop what they are doing and wave back. 4) I’ve learned that just when I get my room the way I like it, Mom makes me clean it up again. 5) I’ve learned that if you want to cheer yourself up, you should try cheering someone else up. 6) I’ve learned that although it’s hard to admit it, I’m secretly glad my parents are strict with me. 7) I’ve learned that silent company is often more healing than words of advice. 8) I’ve learned that brushing my child’s hair is one of life’s great pleasures. 9) I’ve learned that wherever I go, the world’s worst drivers have followed me there. 10) I’ve learned that if someone says something unkind about me, I must live so that no one will believe it. 11) I’ve learned that there are people who love you dearly, but just don’t know how to show it. 12) I’ve learned that you can make some one’s day by simply sending them a little note. 13) I’ve learned that the greater a person’s sense of guilt, the greater his or her need to cast blame on others. 14) I’ve learned that children and grandparents are natural allies. 15) I’ve learned that no matter what happens, or how bad it seems today, life does go on, and it will be better tomorrow. 16) I’ve learned that singing Amazing Grace can lift my spirits for hours. 17) I’ve learned that motel mattresses are better on the side away from the phone. 19) I’ve learned that keeping a vegetable garden is worth a medicine cabinet full of pills. 20) I’ve learned that regardless of your relationship with your parents, you miss them terribly after they die. 21) I’ve learned that making a living is not the same thing as making a life. 22) I’ve learned that if you want to do something positive for your children, work to improve your marriage. 23) I’ve learned that life sometimes gives you a second chance. 24) I’ve learned that you shouldn’t go through life with a catchers mitt on both hands. You need to be able to throw something back. 25) I’ve learned that if you pursue happiness, it will elude you. But if you focus on your family, the needs of others, your work, meeting new people, and doing the very best you can, happiness will find you. 26) I’ve learned that whenever I decide something with kindness, I usually make the right decision. 27) I’ve learned that everyone can use a prayer. 28) I’ve learned that even when I have pains, I don’t have to be one. hug, or just a friendly pat on the back. 30) I’ve learned that I still have a lot to learn. There’s a lot of wisdom here.. Have a great Sunday! 1. 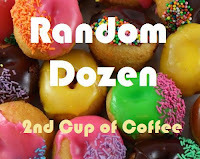 The first 3 people to visit my blog & leave a comment here on this post saying they want to participate will receive a homemade gift from me. You are allowed 1 year (according to the rules) in which to send out the gift, but I plan on making something & sending it on much sooner than that. 2. You must have a blog of your own to participate in the PIF. 3. You must post about the PIF on your blog & you must offer the challenge of a PIF. By accepting my PIF, YOU agree to host a PIF on your blog, you will agree to send a homemade gift (within 1 year) to the first 3 people who sign up on your blog to participate in your PIF & so it continues. I think I already know what I plan to make to give away, if I can get three participants to accept my challenge. I’m going to make Christmas ornaments! (I probably shouldn’t tell, but I’m excited!) I haven’t “crafted” in a long time, and I’ve missed it! So come on… join in and play “Pay It Forward”. If you decide to accept the challenge and play PIF, please leave me a comment telling me that you want to play along. I’ll be contacting you for your mailing address, so I can send your handmade gift. 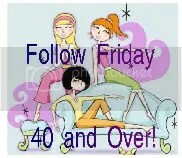 I’m joining up with Linda for Flashback Friday and Java for Follow Friday today because it’s Friday, and that’s what I do on Fridays. If you would like to join up with either of these ladies, just click on their button at the top of this post. Both blog hops are fun, and I highly recommend them. Linda’s theme today is all about reading when we were young. That will be a tough one for me because that was a l-o-n-g time ago, but I’ll give it my best shot! I don’t remember learning to read as a small child, or even liking to read until I was in the fourth grade. I remember when I was in the fourth grade, my teacher had her own little library in the back of the classroom. “Miss Doll” would let us borrow books from her library to read, and I loved it! This teacher was one of my all-time favorite teachers because she had also been my daddy’s teacher when he was in school. I didn’t have many books at home–in fact I had only three of my own, while growing up. One of those books was a book of Mother Goose Rhymes, and the other two were Little Golden Books of “Pollyanna” and “The Shaggy Dog”. I read those books a million times. I don’t know what ever happened to them, but I’d love to have them today. I remember reading some of the Nancy Drew mysteries when I got older. I checked those out from the school library. When I became older, I was also able to order a few books from the Scholastic Book Club. I remember reading “Gone With The Wind” when I was in the eighth grade. I saw the movie “Gone With The Wind”, loved it, and wanted to read the book. I was a library assistant in high school during my junior year of high school, and I was a member of the Library Club. The librarian was an older lady, who happened to have been my mother’s basketball coach when she was in school. She was a strict lady–no funny business in her library, but I got along fine with her–except the one time that she called me into her office to tell me that she thought I was “throwing my life away by being engaged to and waiting for my future husband”. Boy was she wrong!!! As far as required reading in high school, I can’t really remember many of those books. I think one of them may have been “Tess of the D’urbervilles”, and another may have been “The Old Man and the Sea”. What I do remember is not being able to understand much about any of them! There is just something about having someone tell you that you have to read a book! When I began working in our local elementary school, I developed a strong love of reading. I loved teaching the children to read, and listening to them read to me. I also enjoyed reading to them. The teacher and I built a wonderful classroom library. We let the children read in class, or check out the books, just like my teacher, “Miss Doll” did in the fourth grade. Now that I’ve retired, I have lots of time to read books. I’ll read a few, then take a break. I love to read autobiographies, but I enjoy good fiction as well. I love to read to my grandchildren, especially my granddaughter, who shares my love of books. When my children were growing up, I always told them, “If you can read, you can do anything.” I still believe that statement to be true today. Today I decided to share a couple more of my adventures in babysitting. 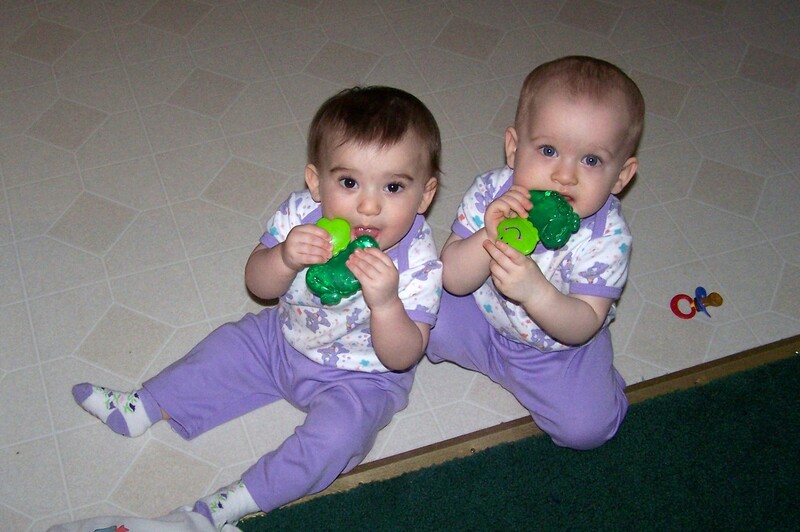 I began keeping twins, Jayla and Mackenzie, in October of 2005, when they were just five months old. We spent almost 2 years together, and we both learned a lot during that time! about it, and would go along with me. 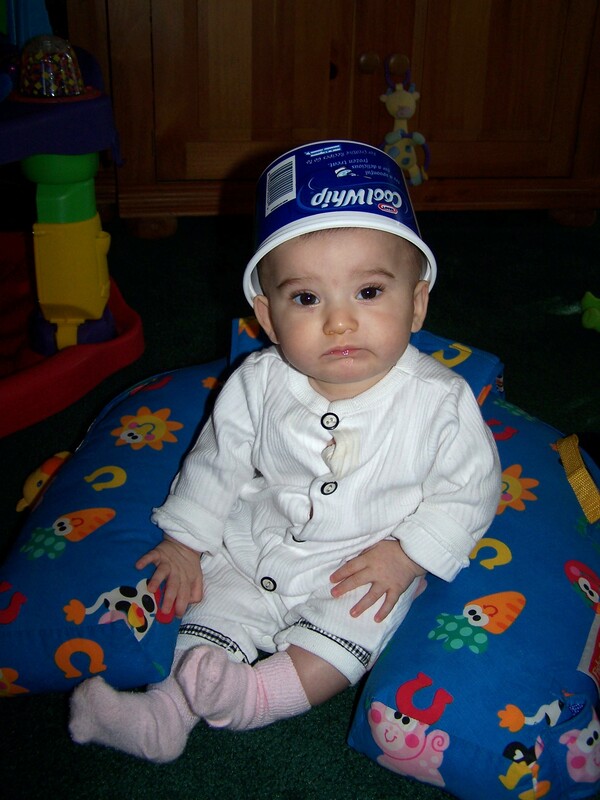 One of my favorite “hats” was a Cool Whip container. Hey, what can I say, sometimes I just needed a laugh! I took pictures of the girls doing all kinds of things. The twins will get a laugh out of those crazy pictures one of these days…I filled up an entire scrapbook, and gave it to their mom. I also learned that I had to be twice as smart as the twins were. They worked together, and were always exploring new places and things! It was hard to stay a step ahead of those two! 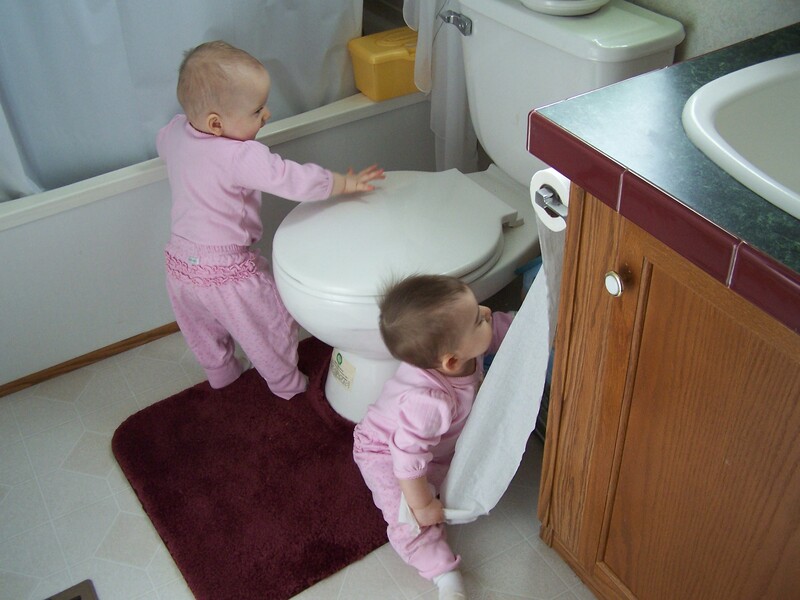 One thing I learned quickly was that the twins’ favorite place to play was in the bathroom. Shame on me if I forgot to close the door whenever I came out of there. What is it about a roll of toilet paper that is so enticing? If given the chance, they would unroll an entire roll of paper! Of course, they would also put things in the toilet if given a chance. The scariest experience that I ever had while babysitting happened when I accidentally locked the twins inside of my car one day! I had two car seats of my own that I kept in my car, so I could take the girls to town occasionally. On this particular day, the girls and I had just returned from a trip to town. The twins lived in an isolated spot, out in the country, and I usually just left my keys in the front seat of my car. (I know this sounds crazy to city people, but that’s the way it is in the country.) This day was no different, except that I accidentally hit the “lock” button on the car door, instead of the unlock button. I realized what I’d done immediately! I called the grandfather, not realizing that he was a panicking kind of person. After calming him down, I got in his truck and headed for my house…Then I realized that I couldn’t get to my spare set of keys because they were locked in our fire safe–and the code for the safe was in my purse–locked in my car! Now I was beginning to panic! I turned around and went back to where the twins were. By then, their aunt had also arrived. She was almost as upset as the grandfather was. By then, the twins had begun to cry because of all of the activity around them. I decided to call 911. The dispatcher at 911 quickly told me “we don’t handle that kind of problem”. If locking two babies in a car isn’t an emergency, I don’t know what is! At least the 911 dispatcher gave me the name and number of a man who could help me. I quickly called him, and fortunately he arrived within 25 minutes. Within two or three minutes after arriving, the man had my car door opened, and the twins were rescued! The twins were locked in my car less than an hour, but to me it seemed like an eternity! By the time all of these things had transpired, I was a nervous wreck! Calling the twins’ mother to tell them what I’d done was the hardest thing that I’ve ever done. Fortunately, she was very understanding. The twins’ grandfather even paid the thirty-five dollars that it cost to have my car unlocked–and he refused to let me pay him back. After that harrowing experience, you could always count on one thing–from that day forward, I always took my keys out of my car! 1. Have you, or has someone close to you, ever won an award for anything? If you mean military awards, that would be my father-in-law. He fought in WWII, and received both a bronze and a silver star. In other kinds of awards, our oldest son won the Presidential Scholarship to a local college (all tuition paid for an entire year), while our youngest son won regional and state FBLA awards in Banking and Finance. 2. Who is the nearest relative to you who has served in the US Military? That would be my husband and my brother. Both of my husband’s parents served as well. 3. Share something that stirs the patriotic spirit in you. The song “God Bless the USA” by Lee Greenwood stirs me every time I hear it. 4. Where are you in the birth order in your family? Do you think your “placement” made a difference in your personality? I am the youngest of two children. I may have been “spoiled” a little bit because I arrived nearly nine years after my brother, I don’t know that it affected my personality though. My brother has always been talkative and very out-going, while I’ve always been quiet and reserved. 5. Name one trait you hope you carry that was evidenced in your parents or grandparents.” Devotion”– to God, family, and home. My grandmother was the perfect example, and I always wanted to be just like her. 6. If female, do you prefer wearing a skirt or pants? I don’t like the way skirts fit me–I only buy dresses, so my answer is pants! 8. Share a favorite movie quote. Oh…that’s too hard. I love movies! How about “Frankly, my dear, I don’t give a damn!” I remember being so happy when Rhett Butler FINALLY told Scarlet O’Hara those words. 9. What is your favorite Fall candle scent? I don’t really have a favorite. I like cinnamon apple or pumpkin pie, among others. 10. What is one Fall activity you’re looking forward to? I enjoy decorating the yard for Halloween (for the grandchildren), and I enjoy seeing the grandchildren dressed up in their trick-or-treat costumes. 11. Tell us about a pleasant surprise that happened to you recently. Our grandchildren presented my husband and me with a framed photo collage for Grandparents Day. 12. What was it like when you first met your in-laws-to-be? I was probably nervous at first, but that quickly went away. They made me feel like a part of their family from the very first day. Did I mention that I had just turned 15 when I met them? They were always like a second set of parents to me. While my husband-to-be was away in the army, sometimes I used to go and spend the night with them on the weekends. My future mother-in-law and I would go on shopping trips, too. It was good to see our son, Brad, come home safely after his trip to North Carolina to be with Jennifer during her surgery. He had a few interesting tales to tell about his experiences there. Among them was “searching for tylenol (for Jennifer) at midnight on the evening prior to Jennifer’s surgery”, and “the search for a stuffed animal for Jennifer on the evening after Jennifer’s surgery”. Brad also spent the night at the hospital with Jennifer, following her surgery. Let me just say…Brad is “his father’s son”…not every man would do these things for his woman. He even came by on Friday evening and borrowed my Wii and Netflix disc, so Jennifer would have plenty of programming to watch while recovering. What a guy! My daughter and I went over to see Jennifer yesterday. She’s recovering nicely. She is staying with her grandparents for a few days, and people have been dropping by to see her–bearing “tasty gifts”! Brandy and I took cupcakes and some candy, while someone before us brought a strawberry trifle. What a way to recover! 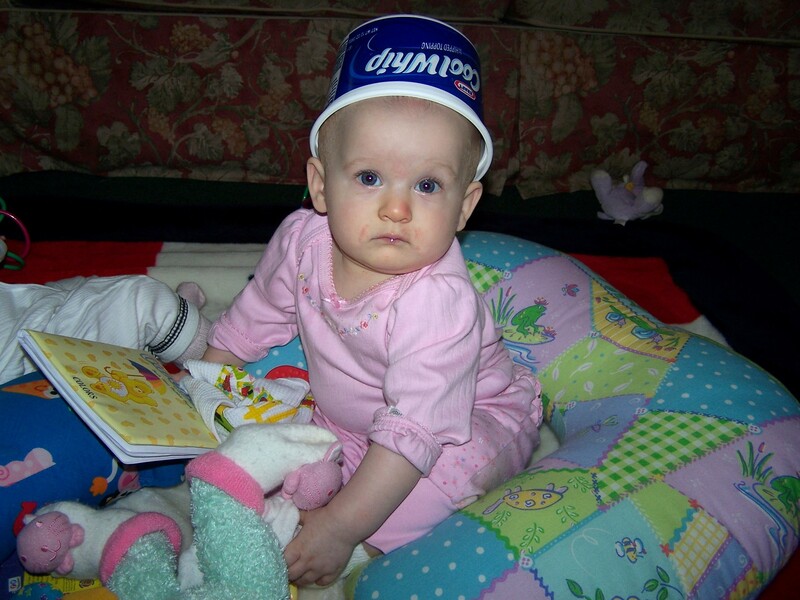 She shared with us that she has already watched the entire season of “Hoarders” on Netflix. Jennifer is amazed by that show. Today is the first day of fall, but the temperatures outside are still well in the 90’s. However, we have been having some autumn breezes, which make it feel a little cooler. Some leaves are beginning to fall, and the grass growing is slowing down. I may pull out my fall decorations this weekend. Granddaughter, Madison, is now in her third week of preschool. She only goes two days a week, but she loves it! At the end of each day, she comes down the steps saying “I had fun, can I come back?” She so different from her mother, who never really cared for school, or being away from home. Our old DVR stopped working last week. My husband wore it out fast-forwarding through commercials. He’s one of those people who turns on the news 30 minutes ahead of time, then zips through all of the commercials–every day! When we found out that we would need a new receiver, we told them to “upgrade” us to a new DVR that records two shows at once. On Friday, we got our new receiver. The technician told us that we really ought to consider upgrading to a HDTV, now that we have an HD receiver. Our television is a big screen, but it’s about 11 years old, and there is nothing HD about it. On Saturday, my husband and I made a trip to the city to shop for a television! On my goodness! We had no idea how many televisions there were on the market! It’s mind-boggling. Plasma, LCD, LED, 3D….Internet connnectible…42, 46, 50, 52, 55, or 60 inches…We came home empty-handed! What ever happened to the day when buying a television was simple? This purchase will require some thought. We also looked at a 3D television–a very strange viewing experience! I don’t care to sit around wearing 3D glasses to watch television. Wouldn’t that be a sight? Speaking of television, I began watching the new season of “Dancing With The Stars” last night. That show just gets more interesting with each season. I once watched Michael Bolton in concert…I never dreamed I’d be watching him try to ballroom dance. It was painful to watch. Then there was Bristol Palin. She looked like a fish out of water–that is what I would look like, if I did that show! I hope she is able to relax next week, and enjoy herself. I was amazed at Florence Henderson…who knew, that “Mrs. Brady” could dance–at 76 years of age! Then there was short little Cheryl Burke and that 7 feet tall basketball player–she could stand up under his armpit! I’m sure it’s painful for her to dance with him–in fact I know it is–she’s wearing 4 inch heels!!! I guess I will leave you with those thoughts in your head…and I will go and do some much-needed housework. I can not continue to put it off for much longer…My husband will run out of underwear–again. Have a great day!